We are often told to follow our passion. Even if we determine our passion, some things hold us back from pursuing our natural sense of curiosity. Curiosity has been called a sort of mental itch. There are surprisingly few studies about curiosity because it is difficult to study. Some people are more naturally curious than others. It can be important to have curiosity hardwired into us because it helps us grow and develop. There are factors like stress, aging, drugs, genetics, etc. that could impact our level of curiosity. Outside of medical issues or lack of financial capabilities, I have found four major things that hold people’s curiosity hostage including fear, the way things have always been done, parental/family/peer influence, and technology. The word Millennials is used to describe adults born between the years of 1980 and 2000. They are also known as Generation Y. Jean Twenge, author of Generation Me explained Millennials tend to be more self-focused and may expect to receive a lot of recognition. Sixty Minutes aired an interesting story titled The Millennials are Coming. In this show, they explained how this younger generation expects good things and expects them with little effort. I have noticed that this sense of entitlement has carried into the online classroom setting. Most of my students are very respectful. They follow directions. They ask questions with the proper tone. However, there are a few that are more demanding. Although I have not formally studied the age group of the students who demonstrate issues with entitlement, I have noticed that my older Baby Boomer students seem to demonstrate more respect. When a person is in control of an expected or anticipated occurrence, they have taken proactive measures. When a person is reactive, they are responding to something that they had yet to have anticipated. In leadership courses, they often give examples of a proactive vs. a reactive leader. 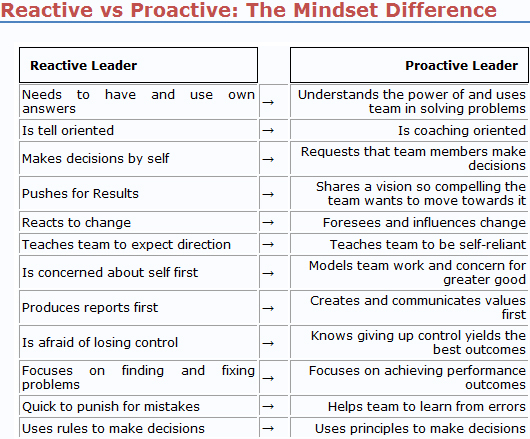 The following chart gives an example of the different mindset of these two styles of leaders. Click on the picture for more information. Carol Shultz’s article Proactive vs. Reactive Approaches to Your Business and Talent explained two cases that demonstrated how reactive companies lost employees for different reasons, and the associated costs. To read more about these and other models for change, click here. Is Your Personality Making You Fat? The author of the article provides some fixes for people who exhibit these traits. Neurotic people also have issues with weight gain. The National Institute of Aging studied nearly 2000 people and found that people with high levels of neuroticism and low levels of conscientiousness displayed more frequent weight increases and decreases. To find ideal diet plans based on each of these types, click here. As the New Year approaches, it is common for people to consider making some changes. Whether you are considering body-image changes, obtaining a degree, attempting weight-loss, or trying to reinvent your career, there are some top sites that may offer some help and advice. Manic depression or bipolar disorder is a mood disorder where people experience abnormal levels of high energy or depressive states. While generally thought of as a disorder, there are many examples of people who have this disorder and used it to their advantage. In Joshua Walters’ Ted.com video, he points out the importance of being just crazy enough. He explains that as a performer, the crazier he is on stage, the more entertaining the audience finds his act. He decided to embrace his illness and now walks the line between what he calls mental illness and mental skillness. He points out that there is a movement to reframe the hypomanic part of the illness and to look at it is a positive. He refers to John Gartner’s book The Hypomanic Edge where Gartner writes about how this edge allows people to compete. Walters explains that being this way maybe doesn’t mean you are crazy, but that you are more sensitive to what others can’t see or feel. Tom Wooten, author founder of the Bipolar Advantage, has made it his “mission to help people with mental conditions shift their thinking and behavior so that they can lead extraordinary lives.” He sees it as being bipolar without requiring the word disorder. For a more complete list of famous people with manic depression, click here. Does the New Facebook Movie Imply Zuckerberg has Asperger’s? This information may come as a surprise with the number of reported cyber bullying cases. 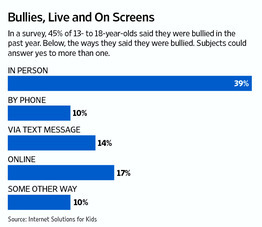 Internet Solutions for Kids reported that 17% of 13- to 18-year-olds were bullied online in the past year. However, this is low compared to the reported 40% in-person bullying. Is Facebook and Twitter Keeping You Out Of College? Due to changes in the economy, many people have been forced to change jobs and learn how to reinvent themselves. Sharon Simpson, aka The Reinvention Diva, contacted me recently to ask me if she could review my book How to Reinvent Your Career. Sharon is a speaker, consultant and self-help guru who assists those that want to change habits and behaviors. The following is the article she wrote about my book. For more information about How to Reinvent Your Career, click here. For The Reinvention Diva site, click here. Dr Diane Hamilton’s book How to Reinvent Your Career is a holistic approach to finding and doing the job you love. The first great thing I notice about this book is Dr Hamilton’s willingness to share personal experiences of how she reinvented herself (several times) to the position which she now holds. Dr Diane Hamilton is a writer and a college professor teaching bachelor, master and doctoral-level business courses for six online universities. She kindly responded to my request to read and review her book in line with our focus here at The Reinvention Diva magazine on Career Reinvention. The second great thing I found in her book is the systematic way she covers almost every aspect of change that would be involved in reinventing your career. There are ten chapters that cover everything from educating yourself to the right foods to eat to keep you healthy. From what to wear to your interview and taking a personality test. It is a well rounded 360º approach to the most important thing involved in change: YOU! Do some introspective questioningThis book is a manual for reinventing your career, Dr Hamilton has cleverly used her personal experiences to take us through the different stages of change. It is both practical, providing useful tips and suggestions and personal in that it encourages you to examine your emotional wellbeing, your fears, your health and life.I highly recommend this book. This book is written for the US market but applies on every level to any English speaking country. Thank you Dr Diane Hamilton. We hope we have provided you with what you need to reinvent your career. If you require further assistance, please contact mary@thereinventiondiva.com, our career advisor here at The Reinvention Diva magazine. Sites like HysterSisters have been popular for women who want to get together and discuss their menopause and hysterectomy-related issues. Now there is a site for people to utilize who may be considering plastic surgery. The site MakeMeHeal.com offers a variety of information including everything from post-surgical underwear choices to information about what products may be helpful to heal after specific surgeries. If a patient is considering eyelid surgery (blepharoplasty) for example, they can go to the link specifically about that procedure to find out details about the surgery including how long it will take to recover, homeopathic remedies for pain relief, what other comfort products are available, and even what makeup works the best as camouflage. The site even offers a directory of doctors. Be aware that the doctors with a lot of information and recommendations may also be advertising on the site. It is important that you research any physician on additional sites. Patients can rate their doctors and even upload their own before and after pictures. There is a “create your photo album” option available for those interested in keeping track of several operations. We’ve all seen the areas on Youtube, blogs, and other news areas where people make their anonymous comments about the topic at hand. It has become very easy for people to make comments that they might not otherwise have made should they have had to have their name or face associated with their remarks. Many comments are made by children under 18 and some of those comments may be just dismissed as immature. However, as more news stories surface about children killing themselves from cyber-bullying, there is growing concern about society accepting this kind of behavior. (For 11 facts about cyber-bullying click here). Cyberbullyingprotection.net reported that 75% of students have visited websites that bashed other students. Many blogs, including this one, allow screening of posts before allowing them to be exposed. This is useful to avoid the deluge of spam that comes across from people trying to sell their unsolicited products. However, it can be reassuring to know that “haters” can’t just post anything they want. Why are there so many angry people out there that want to write negative comments? Part of the issue that these people have, other than immaturity, is a lack of emotional intelligence (EI). Emotional intelligence may be defined in many ways. One of the easiest ways to think about it is to define emotional intelligence as the ability to understand one’s own emotions as well as those in others. People who write these posts have little consideration of the feeling of others. This shows a lack of interpersonal skills. Listen to our children with empathy. Help your children name their feelings. Turn their tantrums into teaching tools. Use conflicts to teach problem-solving. Set an example by remaining calm. By helping our children develop emotional intelligence, perhaps we can see a future of less “haters” and cyber-bullies making anonymous hurtful comments. There is an expression that is often used in sales: “You are only as good as your last deal.” What is meant by that is that management has a short-term memory and no matter how good you were in the past, they are focusing on what you can do for them right now. It may seem unfair to those who have worked very hard throughout the years to find out that their jobs may be on the line due to one poor month of performance. However, this is a reality in this market. The new movie, Larry Crowne, with Tom Hanks and Julia Roberts, is about Hanks’ character, a top performing employee who has won the employee of the month something like 8 times. He is self-confident that management has requested his presence in their office to tell him that he has just won for the 9th time. Instead, he finds out that they are letting him go due to his lack of a college education. Work harder than your coworkers. That may seem to be common sense, but it is surprising how many people overlook the fact that they may not be number one in the office. There is an old expression: I don’t have to outrun the bear. I just have to outrun you. Think of being laid off as the bear and you have to be better than your coworkers to survive. Multitask. One way to be more efficient at your job is to multitask. Some may argue that there is no such thing as true multitasking but there is such a thing as combining small jobs together so that you get more done in less time. I often share an example with my students of how I would type my call notes while “dialing for dollars” so that I could make twice as many phone calls as my coworkers who waited until the call was completed to type up their notes. Find ways to combine things like this to be more efficient. Add value through education. The Tom Hanks example is a good reason why you should consider furthering your education to compete. You might find that a certification is enough. You might find that an MBA would add value. Find the thing that makes you stand out from your fellow coworkers. Put in the time. If you are the last one to get to work and the first one to leave, you may find that management has noticed. Look around your office and pay attention to who gets there late, who lollygags around and doesn’t work hard. Put in the hours but also be sure that management sees how hard you are working. There is no shame in copying them on things that show you have done well. Work smarter vs. harder. Some people think that just putting in more work hours means they are working hard. If you are the guy/gal who plans the plan to plan the plan, then you are not efficient. A plan is important to keep you on track. Just be sure you don’t spend all of your time planning and none of your time doing. If you do these 5 things, you’ll be well on your way to outrunning your coworkers and avoiding the bear (loss of employment). With the upcoming wedding, there is a lot of focus on Kate Middleton. Her interest in France’s Dukan Diet is the buzz. According to Psychology today, this Atkins-like diet, “It is very restrictive and rule-bound (high protein, low calorie), and then eventually gives permission to “eat anything” on six days of the week if you revert to the original guidelines (to basically cut out everything except for lean protein) for one day of the week, ad infinitum.” I’ve tried Atkins-like diets in the past and found that not having carbs not only made me miss them (especially chocolate), but I couldn’t sleep. There are always new fads out there for dieting. Lately Tracy Anderson’s 30 Day Method has been mentioned quite a bit as well. After hearing that Courtney Cox and Gwyneth Paltrow use her method, I thought I’d get the Anderson book. Although I haven’t had a chance to watch the DVD that came with it, I did look at the daily amounts and types of food that she suggests in it. Although it would be nice to look like Cox or Paltrow, the food choices were very unusual (not much I could even eat because I am picky) and very small in quantity. I will give some attention to her exercise program though as Anderson and her followers do look pretty amazing. Sometimes these books are fun to read to see what people are doing out there to look perfect. But I think I’ll look a little less perfect and keep to a common sense diet … oh and with a little chocolate thrown in for good measure. For those unfamiliar with the MBTI and the EQ-I, the MBTI measures our preferences for how we like to receive information. The EQ-i measures our emotional quotient or EQ. Emotional intelligence has often been defined differently by various authors. One of the easiest ways to think of emotional intelligence is by defining it as the ability to understand your own emotions as well as those in others. I found the relationship for “feeling” to be the most interesting part of the study due to the high number of “thinking” as opposed to “feeling” executives in the workplace. The study suggests that using “feeling” when making decisions shows awareness of others’ feelings. This would be indicative of having emotional intelligence. What is interesting to note is that one’s MBTI type does not usually change over time. However, one can develop their emotional intelligence. The “thinking” personality type bases their decisions on data. They tend to be logical. If people with a strong “thinking” preference do not show as high of a correlation with emotional intelligence now, can they develop this based on their understanding of this data? It seems logical to conclude this is possible. As with any self-reported data, there are possible limitations to these studies. 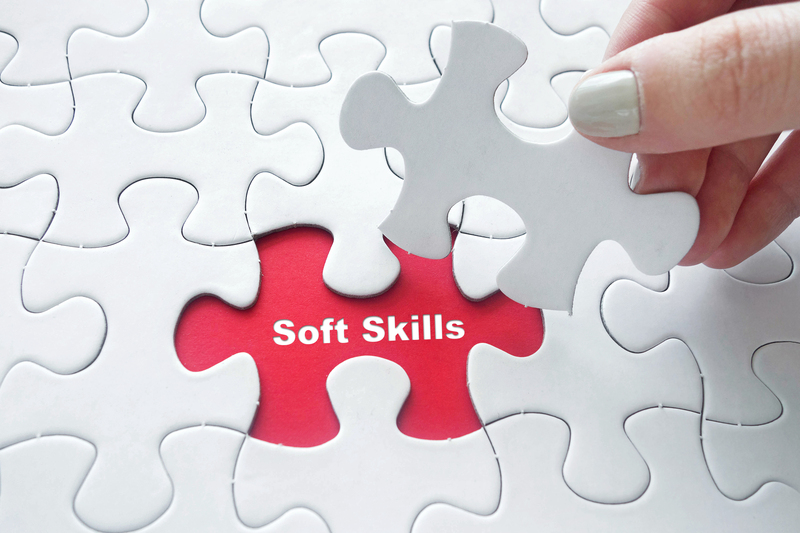 I personally have studied emotional intelligence and its impact on sales performance. I had to take the EQ-i and the MBTI in my training to be a qualified instructor for both assessments. I came out as an ESTJ and had a high EQ-i score. I may be an anomaly, but from what I have seen from the work of Daniel Goleman and others, whether someone is a “thinking” or a “feeling” personality, it is important to always be working on one’s EQ in order to be successful. Myers Briggs MBTI personality assessments are often utilized by organizations. In today’s Wall Street Journal, the article Do You Get an ‘A’ in Personality discussed the importance of utilizing personality assessments in family situations as well. Greg Cellini from WSOU 89.5 FM interviewed me recently about this very topic. One of his questions Greg had for me was if using the MBTI was helpful for families. It definitely can be. The reason is that a lot of misunderstandings occur due to the fact that many people don’t realize “why” other people do the things that they do. By understanding personality preferences, we are more likely to be tolerant of others. In the audio clip that follows, Greg Cellini and I discussed the difference between the J and P personality types. For those of you unfamiliar with Myers Briggs, there are a lot of articles you can access on this site. The J personality is someone who is very structured and on time. If you tell them to be somewhere at a specific time, they’ll likely get there early to be sure they are not late. The P personality is more spontaneous and less structured. If you tell them to be somewhere at a specific time, they’ll likely get there on time but may wait until the very last moment. By realizing that the opposite personality functions the way they do for a reason, frustration can be avoided. For more about this, check out the excerpt from the recent radio interview that follows. If you can’t afford to take the actual Myers Briggs MBTI, check out this link to help you discover your personality preferences. For the complete report click here. Multi-Tasking and Time Management: Are We Really Attention-Switching? Short of sleeping while ironing, I am constantly doing more than one thing at a time. After giving a speech to a local career group, a man from the audience came up to me and said that “there is no such thing as multi-tasking.” This is an interesting thing to debate. This topic became popular a few years ago when scientists were doing a lot of studies on multi-tasking. Some of what people are referring to when they say science has proven that multi-tasking is a myth is due to the results of several studies. One of those studies was completed by Neuroscientist, Daniel Weissman, who studied subjects’ brains as they performed different tasks. For more information on these brain studies, check out NPR’S report by clicking here. I’ve read some of the literature. Perhaps the wording multi-tasking is the problem. I’m happy to use the term attention-switching. However, for me, if I waited until I completed one thing to start something else, I would be missing a lot of opportunities to fill in some gaps. I often have several programs open on my computer. As I am working in one program, waiting for the page to refresh or for something to calculate on screen, I can switch to another program and be working on something else. If I simply sat and waited for my computer to finish thinking, I’d be doing a lot of staring at my computer’s hourglass. Saying that multi-tasking is a myth and calling this act attention-switching is fine. However, I do not agree, at least for me, that tasks must be completed in entirety before moving onto something else. In a job where I “dialed for dollars”, I would type my sales call notes as I spoke to my customers over the phone. This helped me to not forget the most important parts of the conversation. It also allowed me to have at least an hour more phone productivity time as compared to other employees that waited until they got off the phone to write their notes. Whether you want to refer to doing more than one thing at a time as multi-tasking or attention-switching, there is a lot of wasted time out there that I believe more people should be looking for in order to become more efficient. If you have time management issues, I would suggest looking for things that you can do simultaneously as in my example of the call notes. Some things can be combined to make your day more productive. This year the oldest baby boomers will turn 65. If you call a baby boomer “elderly”, you might find that is not a term they take lightly. The days of older generations taking it easy and moving to quiet communities have faded. This is a very proud group that wants to remain vital and active for as long as possible. Boomers may not be retiring as early either. The stock market crisis is partly to blame, but there are other reasons. Another issue facing this generation is that they often have to not only care for their children but their own aging parents. They have often been called the sandwich generation because of this. US News Money reported, “Almost a third (31 percent) of relatively wealthy Americans are supporting older and younger immediate family members at the same time, according to a new Merrill Lynch Wealth Management survey of 1,000 people with investable assets of $250,000 or more.” The stress from this has caused many boomers to have difficulty with their jobs and health, leading to a generation that experiences higher rates of depression. To learn how to be more business savvy, based on tactics gained from improve actors, including how to introduce yourself, how to use your body, and more click here: 25 tricks that work on stage and may just work in the business world. Many traits have been studied to see what actually determines a child’s mental abilities. Nature vs. nurture is a common debate. Recent research from the University of Texas at Austin and the University of Virginia tested the mental abilities of 750 pairs of twins to determine if wealth made an impact. Their abilities were analyzed at 10 months and again at 2 years. To read more about this study, check out the following article by the Wall Street Journal by clicking here. Are Humans Getting Dumber as Our Brains are Shrinking? 01.17.2011– Dr. Diane Hamilton is the go-to expert on all things career. The author of three books, she urges readers to not be afraid to try new things. Most importantly, students and job hunters alike must be self-aware, allowing them to know what they want and to allow them to have the career of their dreams. Bill Gates is not the only one who believes that online education is the wave of the future. In The Online Student’s User Manual: Everything you Need to Know to be a Successful College Online Student, Hamilton guides readers through the process. It took Diane many years to become a successful online teacher and it is the job she loves the most from her 30+ year working career. It’s time readers heed the advice of seasoned professor Hamilton. In her second book How to Reinvent Your Career: Make More Money Doing What You Love, Diane delves deeper into the importance of taking that degree and making life choices to better oneself. After reinventing herself over 10 times in her career, Diane Hamilton learned many business and life lessons along the way, making her the consummate professional for advice regarding all things career. This in-depth book covers everything from how to properly use social marketing to studying the marketplace. A detailed analysis of up and coming careers is also included. Getting down to the “nitty gritty,” Diane Hamilton proves with this book that she has the power to convey what would be overwhelming information in a concise, no-nonsense yet friendly approach. Personality tests abound. Which one is right for each individual? Together Hamilton and Rothpletz analyze each test and leave it up to the reader (with guidance) to find the personality test that works for them. They make the case that having a certain level of self-awareness prepares those of all generations for the complicated personalities issues in the modern workplace. “New Gens,” a term coined by Hamilton and Rothpletz, includes Gen X, Gen Y and the Millennial generations. The authors explain how this unique group has specific expectations in the current working environment. Honing in on the fact that Americans spend a large majority of their time in the office, Hamilton and Rothpletz claim that it is not only encouraged but necessary to find a way to get along with all generations. 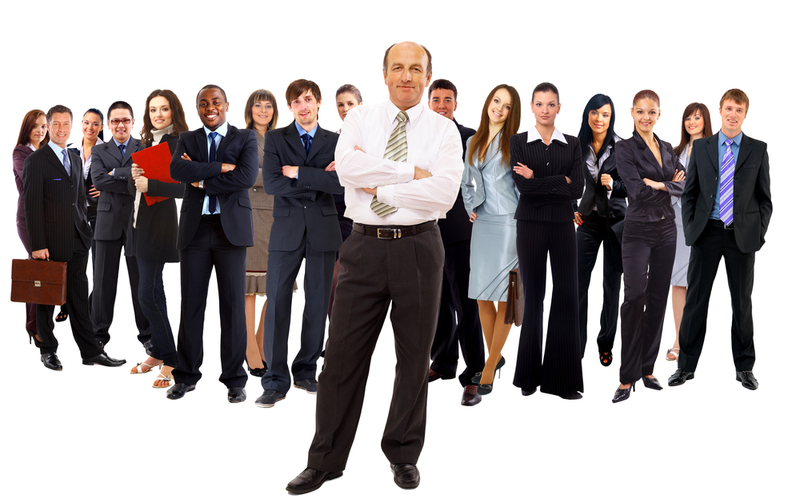 It is a vastly diverse workplace in 2011 with boomers still working and Millennials soon to be taking their place. With Hamilton’s and Rothpletz’s sound advice new workers will be geared up for career success. A fun, entertaining, inspiring read, It’s Not You, It’s Your Personality: Skills to Survive and Thrive in the Modern Workplace, is a must-have for job seekers and survivors in today’s every-changing work environment. Hamilton has taken it to the next level this year, offering three informative reads. With her work, readers can navigate the often scary and unchartered world of careers. The US is the land of dreams and opportunities. Authors like Hamilton can help guide readers to improve their potential. Careers can be fun. Careers can be reinvented. Most importantly—dreams are attainable. Dr. Diane Hamilton has proven that. Diane Hamilton currently teaches bachelor-, master-, and doctoral-level courses for six online universities. Along with her teaching experience, she has a Doctorate Degree in Business Management and more than twenty-five years of business and management-related experience. She is a qualified Myers-Briggs instructor as well as a certified Emotional Intelligence trainer. Toni Rothpletz has a Bachelor Degree in Global Business Marketing and is currently working on receiving her MBA. She currently works as a business developer/sales executive in the computer industry. Her background includes working in several industries including computer software, identity theft, and social networking organizations. To find out more about their writing or to schedule an interview, visit Dr. Hamilton’s website at http://drdianehamilton.com or her blog at http://drdianehamilton.wordpress.com/. Even well-educated generations may not be savvy in all areas that could lead to their success at work. Part of what makes a successful and happy worker is having the ability to get along with coworkers, having strong interpersonal skills and being emotionally intelligent. The book, It’s Not You It’s Your Personality, addresses all of these important areas. By understanding personalities and the psychology behind “why” people act the way they do, Millennials and all generations have a better chance of success at work and beyond. To find out more about understanding personalities and emotional intelligence in the workplace, click here. PRweb Press Release – It might be obvious that Dwight Schrute is a control freak. But, who knew that Chris Rock was an introvert? Understanding how to read personalities is important according to mother and daughter co-authors, Dr. Diane Hamilton and Toni Rothpletz. They blow the lid off what many thought they knew about personalities in their latest book: It’s Not You, It’s Your Personality. This is the ultimate handbook for understanding the inner-workings of not just celebrities—but co-workers, friends and family. Chris Rock, like many celebrity comedians is, indeed, an introvert according to a popular personality test. Are people prepared to work with the Rock and Schrute personalities of the world? Hamilton and Rothpletz help answer some important personality quandaries like this as well as: How should people interact with introverts? Does the boss’s birth order matter? How does one climb the corporate ladder of success by developing emotional intelligence? There’s no question that Diane and Toni are the type of authors that readers would want to hang out with. It’s Not You, It’s Your Personality is as fun of a read as the title dictates. It takes readers on a journey through the many ways one can analyze personalities. Along the way, a lot is learned about the personalities of celebrities, coworkers, friends and family. The Myers-Briggs personality test, also created by a mother-daughter team, indicates Ari Gold of “Entourage” fame has the personality trait of a “thinker.” Though not all thinkers are cold-hearted, the “thinker” is all business. There is no time to worry about how others are reacting. Truly, however, even Ari has a soft side—or viewers wouldn’t continue watching. People, including Ari, have different personality preferences. Even a “thinker” may sometimes be a “feeler,” depending on the circumstances. It’s Not You, It’s Your Personality is geared toward the new generation of workers, those generally born in the late 70s and beyond who are currently in the workforce. This generation, dubbed by Hamilton and Rothpletz as the “NewGens,” is taking a large chunk of the job force as baby boomers are set to retire. 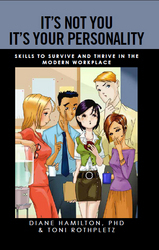 As cited in the book, companies far and wide are now trying to find new ways to train and interact with the NewGens. Personality tests abound. Which ones are the right ones? How can these assessments be used for success? There is a noted severe uniqueness of very strong personalities in the NewGen community. Even with the advent of technology, people are the most valuable asset. Turnover costs money. Hiring the wrong person (or personality) costs money. Job hunters that know themselves the best, are setting themselves up for success because ultimately how they handle themselves on a day-to-day basis is what will get them ahead in the long term. So what about the personality preferences of Chris Rock, Ari Gold or Dwight Schrute? Bottom-line is it doesn’t matter the personality—certain things cannot be changed. However, the way people interact can be changed. Knowing one’s strengths and weaknesses is the key to advancing from even the seedling of a career. In a fun, light-hearted manner, dynamic mother and daughter duo, Dr. Diane Hamilton and Toni Rothpletz, share with readers their insight on the importance of understanding personalities. People and their different personalities are what make the workplace fun. Using tried and true personality tests can put modern workers ahead of the game—and ultimately make them successful in their career endeavors. In their just-released book, It’s Not You It’s Your Personality: Skills to Survive and Thrive in the Modern Workplace, Hamilton and Rothpletz desire to not only have their book be informative, but have readers laugh along the way. What drives the economy? People. People are behind every transaction. Business leaders will be the first to say that the most costly thing in business is personnel turnover. Unemployment is at 9.7%. This has led to an unstable work environment filled with a diverse group of workers. No matter what age, it is necessary to understand the different personality types that workers possess. For post-Baby Boomer generations, it can be a challenge to educate them about personality assessment, while still maintaining their interest. The recently released book, It’s Not You It’s Your Personality: Skills to Survive and Thrive in the Modern Workplace, may have the solution. There is an undying stratification in how the “new generation” of workers relate to their older peers. Technology sets them apart. A feeling of entitlement is out there for many workers. Each experience in life creates the personality a worker brings to the table. Dr. Diane Hamilton and co-author daughter, Toni Rothpletz, argue that if Americans want to be successful, it’s time to look inside and find out what inherently makes them tick. The authors explain how to do this in their fun and sometimes irreverent look at the current workplace. It is essential for people to understand their own personality and to realize the impact their interactions may have on others. This is becoming increasingly more important as business owners and managers look to keep harmony among workers. Morale is important and if there is friction among personalities, managers are forced to make some tough decisions. Personality tests can be an informative tool. Myers-Briggs, DISC, The Big Five, Birth Order, Color Tests, Emotional Intelligence and other top personality tests are used by employers to assess potential and current employees. Hamilton and Rothpletz argue that it gives workers a leg up to have these powerful self-learning mechanisms. There are so many personality assessments, it can get confusing to know which one to research. It’s Not You, It’s Your Personality explains the top assessments and shows readers that learning about themselves and their coworkers can be a lot of fun. Mother/daughter team of Hamilton and Rothpletz, set out to edutain (educate and entertain) their post-Baby Boomer working world audience. If someone has ever wondered how their personality compared to famous celebrities like Lady Gaga or Johnny Depp, they may get some answers. However, one of the most valuable things they will learn from this book is why these personality tests are so important to their success and future ability to get ahead in the working world. I was just watching a video by Marlo Thomas where she was asking people what they would do differently knowing what they know now. In my book, How to Reinvent Your Career, I included a chapter about this very subject. The following is an excerpt from that chapter where I discuss why I don’t think that many things we choose are really mistakes because they have led us to where we need to be now. Think about the choices you made when you were young. Would you choose the same things now? Maybe not. Maybe you weren’t ready to take on the things you can now do. I doubt I would have been as good a professor if I hadn’t had the 25-plus years of experience in the working world to help me add to my lectures and discussions. Perhaps that degree you got in Sociology or Education or some other field no longer interests you. Perhaps you need to go back and get more education in a new area of interest. People change and interests change. It’s OK to say that what you were interested in when you were 20 is not the same thing that interests you now. One of the reasons we change is through the life lessons we learn. We may take a job that leads to another job that we had no intention of doing in the first place, but makes us much happier than we thought it would. You have to factor life experiences into the equation of what brought you to the place you are right now. I sometimes like to review books that I feel are helpful and fit into my goal of helping people reach their lifetime potential. A book that I feel fits into that category is by Stever Robbins and is titled Get-It-Done Guy’s 9 Steps to Work Less and Do More. I am a fan of the quickanddirtytips.com site where Stever’s work can be found. Also on that site is the Grammar Girl, Girlfriend MD and House Call Doctor. I often send my students to the Grammar Girl site as I think it has a ton of helpful grammar tips, written in a fun and more entertaining style. Robbins book, 9 Steps to Work Less and do More, is also written in a very informative style. He writes about many of the things that I also write about in my books (The Online Student User’s Manual and How to Reinvent Your Career) including time management, goal setting and more. I thought I’d point out some important things that he writes about in his 9 steps. In his book, Stever stated, “If you’re anything like me, a lot of what you call work has very little to do with getting anything important done in life.” I think this is a very important statement because I see a lot of my students and people I work with who seem busy but don’t really accomplish anything. One thing that Stever writes about in this section that I feel is extremely important is that your actions should match your goals. We all see the busy person who works the 80 hour week and yet are they really working smart or are they just working hard? It is very important to have goals and to be sure that you are doing the appropriate actions to meet those goals. What is nice about Stever’s book is that he gives nice examples and step by step explanations of “how” to get to where you are going. Procrastination can be a big problem for a lot of people. In the book, It’s Not You It’s Your Personality, that I co-wrote with Toni Rothpletz, I mentioned that I am a qualified Myers-Briggs instructor. One of the most interesting things I found out about personalities is that about the people who like to wait until the last minute. Some people actually naturally do better work at the last minute if they have a “P” personality as assigned by the MBTI personality assessment instrument. While I agree with Stever that it is important to turn tasks into habits to stop procrastinating, there are some people who have a high “P” personality who actually work better when they are under pressure and have deadlines. The only thing I would add to what Stever writes about here, is for those of you who have taken a personality assessment similar to the MBTI and found that you are a “P”. If you are a high “P”, you should set time managed goals for when your project or activity should be completed. “P” personalities seem like they are procrastinators because they wait to do things, but if they have a goal to do things that they know they must meet, they are more apt to do that thing by that timeframe. Another thing I like about Stever’s book is he writes about breaking things into baby chunks to make goals seem more manageable. I often write about this in my blogs and my books. It is like the movie with Bill Murray “What About Bob” where they talk about doing baby steps. In my book The Online Student’s User Manual, I wrote, “How do you eat an elephant? One bite at a time.” It is a goofy saying but it is also very true. If you are a procrastinator, it may help you to think of a big project as smaller more manageable pieces. I find this helps my doctoral students quite a bit as writing a dissertation can be overwhelming. By thinking of it chapter by chapter, instead of an entire project, it can be less intimidating. In Stever’s book he mentions he used a PDA for a year and then reviewed whether the promised benefits were actually beneficial. I personally like to use iGoogle to keep track of a lot of my information. I often recommend this to my students and have written about it here on my blog. I think technology can be frightening for many but sites like iGoogle are very user friendly and can be accessed from many locations. You can keep your Calendar, Address Book, etc. there as well as your RSS feeds and many other things to keep you organized. I liked Stever’s suggestion of keeping an interruptions list. I tend to do that a lot as well. I am the type of person that has things pop into my head often. This is not so great when it happens at 2 am! However, I like to write down any ideas I have on a piece of paper and get back to them later. The trick is to write them down and then get right back to what you were doing so that you don’t jump around and be all over the place. Instead you keep your focus. In this chapter, Stever covers the all important area of having organization skills. I happen to be pretty good in this area naturally but I see a lot of people really need help with this. I have taught time management skills to organizations where we discuss keeping track of emails, only looking at mail once and prioritizing. This is the type of thing he gets into in this chapter. He does a nice job including examples of checklists, etc. to get his point across. This chapter is a very important one as far as I am concerned. I have seen so many people who plan the plan to plan the plan and never get anything done. People are not aware of how much time they waste. I often have my first year college students map out a 24 hour period of time to write down exactly what they do every hour. It can be enlightening for them to see how much time they really waste. Stevers mentioned to be sure that what you are doing is actually work. I was surprised by how many people I have worked with that thought they were doing work but were actually doing things that were wasting their time. I am a huge fan of multi-tasking. Many people over-look the importance of this skill. When I was cold-calling in a sales job, I could type my notes while I talked to the people on the phone. Other sales people would talk on the phone and then type their notes. I could make twice as many calls because I could multi-task. Are you multi-tasking whenever possible? You could free up a lot of time by doing so. Are you doing things more than once? Are you efficient or just effective? I see a lot of perfectionists who are very effective but lack in efficiency. There needs to be a balance. Stever mentions the importance of knowing when to get expert help. Sometimes you can do it all and you have to learn when to delegate or ask others for help. He recommends creating resource books as your learn new tasks to refer to later for help on things you have learned. I like how Stever mentions you can’t there alone. I completely agree. There are so many people and resources out there to help you. I know I personally have found Linkedin helpful to meet people who have given me some excellent advice and direction. I highly recommend checking out their Q&A area as well as joining some of their groups. Don’t just join though; you must participate in order to the most out of it. In Stever’s final chapter he writes about making sure to leverage in order to get results. He explains using automation to get leverage. There has never been a better time to use technology and automation to your advantage. He mentions combining rather than multitasking to get things done. I think there is a time for both. Many people get confused as when to combine and when to multitask. In this final chapter, Stever gives some excellent suggestions for ways to obtain the results you desire. I highly recommend that you check out Stever’s book. In it, he covers each of these topics in much more detail and gives great examples and specifics about how master these steps. If you have lost your job or are in a career that you dislike, there is hope. In her latest book, How to Reinvent Your Career: Make Money Doing What You Love, Dr. Diane Hamilton explains: There is, in fact a way to find YOUR definition of that dream job and make the money you deserve every day. Many people have recently lost their jobs, forcing them to recreate their jobs and their lives—allowing them to finally do what they love. There are more freelancers and new businesses than ever before. Out of some abominable situations can come great ingenuity. Looking to reinvent your career? Dr. Diane Hamilton, author of the newly released book, How to Reinvent Your Career, has the experience and tools for creating a new work identity. After remaining in the same company for 20 years, she found the power to leave and reinvent her career and her life. Over the course of her working career she has reinvented herself 10 times, and with each job came a new lesson—both about life and the working world. Turning life lessons into real solutions, today Dr. Diane Hamilton is an author, speaker and teaches courses at multiple online universities. Personality tests are one way to find out what is the most suitable career to the individual. They are not to be underestimated. In her book Hamilton, a qualified Myers-Briggs instructor and certified emotional intelligence expert, explains the use of personal SWOT analysis, something commonly used by organizations, can be a great personal tool toward the road of job satisfaction and success. Above all, times are changing fast. There is new technology and now with the advent of social marketing there is a new way to communicate every day. Being adaptable to change and knowing the right ways to network for mutually beneficial relationships are skills that can be carried over into any career. Taking this time to keep up with the times is an investment in the future—the path to that career dream come true. Diane Hamilton has a doctorate in business management. She currently teaches bachelor-, master-, and doctoral-level courses for six online universities. She has written several books including The Online Student’s User Manual, The Young Adult’s Guide to Understanding Personalities and How To Reinvent Your Career. To find out more about her writing, visit her website at http://drdianehamilton.com or her blog at http://drdianehamilton.wordpress.com/. Review copies are available. To read full press release click here. What is Lumosity and How Can It Help Your Mind? In less than 10 minutes a day, they claim you can improve your memory and attention. Think of it as exercising your mind. You can even give a membership to lumosity as a gift. It’s free for 7 days and the exercises are a lot of fun. They also provide feedback and detailed improvement tracking. It is popular because it makes learning fun. There is a lumosity scholar section that is specifically targeted to students. It is shown to improve standardized testing scores. Other sections are specifically targeted for certain areas such as those with ADHD, traumatic brain injury (TBI) or special math needs. After a week, if you decide you want to stay with the program, you can join for under $7/month or buy a lifetime membership for $299.95. Improved memory for names, numbers, directions, etc. The job market is over-crowded with applicants all applying for the few coveted jobs. What makes one person stand out in the crowd over another? One thing may be their emotional intelligence. Emotional intelligence (EI) has become a buzz word in the last 10-15 years, thanks mostly to Daniel Goleman who has popularized EI through several mainstream books. Goleman’s definition of EI is not the only definition of EI. In fact, there are several authors who have defined EI in slightly different ways. I think one of the basic and most easily understood definitions is: Emotional Intelligence is the ability to understand one’s own emotions as well as those of others. Why do employers care about this? By having the ability to understand other people’s emotions, you can have more empathy, social intelligence and interpersonal skills. In my dissertation, I examined the relationship between emotional intelligence and sales performance. I did indeed find that a correlation existed between the two. Those with higher EI levels did produce more sales. Employers know about the importance of having EI now and are looking for it in their potential employees. What if your emotional intelligence quotient or EQ is low? The good news is that Goleman and others have shown that EI can be improved. I would recommend reading Daniel Goleman’s book, Emotional Intelligence: 10th Anniversary Edition, Why it Can Matter More Than IQ. Another important book is by Authors such as Hughes, Patterson, and Terrell, who offer training activities that help develop specific areas of emotional intelligence. Although their book, Emotional Intelligence in Action, is aimed at leaders, it would be helpful to those looking for exercises to develop their emotional intelligence. My new book is now available . . . to see full press release, click here. College and university fall-semester classes will be starting soon. With the popularity of online education, many courses are now being presented in an online format. This has left students looking for answers for how to be successful in the online classroom. Are they getting the help they need? According to Dr. Diane Hamilton, author of The Online Student’s User Manual, many students could use more helpful advice. As online learning becomes the future of education, more and more students are finding they have plenty of questions about online learning but many are not receiving the answers. There is no shortage of books that explain the value of an online education. However, the typical book about online learning leaves out helpful advice about how to be a successful online student. This has left learners floundering in their first year of college. There are plenty of books that will help you decide on the right school or find the money you need to finance your higher education. But if you want answers to all your other questions as well, The Online Student User’s Manual takes you where no other manual has gone before—deeply into the online learning experience. Not sure if you have enough computer skills or know how to navigate in cyberspace? Intimidated by all the new terminology? The Online Student User’s Manual will allay your fears and frustrations, as it provides you with information that will make you able to successfully traverse the online halls of learning. Diane Hamilton currently teaches bachelor-, master-, and doctoral-level courses for six online universities. Along with her teaching experience, she has a Doctorate Degree in Business Management and more than twenty-five years of business and management-related experience. To find out more about her writing or to schedule an interview, visit her website at http://drdianehamilton.com or her blog at http://drdianehamilton.wordpress.com/. Review copies are available. In the business world, there have been plenty of success stories. Many people who find success, have learned to take what others have created and added their own spin to the formula. Lady Gaga is a prime example. She is the current phenomenon in the music business. However, she has been accused of imitating Madonna. She probably got ideas from more people than just Madonna. Perhaps she watched Elton John, Cher, Boy George and others that used “over the top” garb and personas to make millions. I’ve heard Harrison Ford quote that “you can’t imitate someone else’s success.” I agree that you won’t be exactly the same as someone else who is famous. However, you can put your own spin on a wheel that has already been successfully created. If you are interested in being a motivational speaker . . . look at the work of Zig Ziggler, Dale Carnegie or Tony Robbins. They all have been great and yet different. You can learn something from each of them. You can build your own persona while still researching the things they did to become successful. If your goal is less ambitious than becoming a superstar like Lady Gaga or Tony Robbins, find someone in the field you are interested in and look at the things they do well. If you want to be a top sales person, find someone in your field who is the best. What do they do that makes them different? How can you put your own spin on their system to make it unique to you? Harrison Ford is right . . . you shouldn’t imitate someone else’s success . . . or even try to duplicate it. It is important to have “you” be at the core of your success. However, I believe far too many people try to recreate the basic wheel that has already been invented. Part of my training I received as a pharmaceutical representative included receiving a certification from the Certified Medical Representative Institute. The CMR courses were amazingly comprehensive, and made me appreciate all of the training people must undertake in order to become medical doctors. The courses I took were graduate-level and gave me in-depth knowledge about body systems such as the cardiovascular, digestive, endocrine, and immune systems, and so on. The courses covered not only human anatomy and physiology, but also disease processes, medical treatments, and scientific/medical research. 1. Don’t skip meals. You’ll just be hungrier later, and overeat. 2. Don’t expect to lose too much too quickly. Crash diets are unhealthy. 3. Watch how many calories you drink. Sodas, juice drinks and many other beverages have lots of calories. 4. Watch your portions. Try to leave a little on your plate when you’re finished. You don’t have to clean your plate. 5. Watch the condiments. Adding a lot of condiments adds a lot of calories. 6. Watch your grazing. Nibbling on little things can add up. 7. Eat several small meals during the day rather than a few big ones. 8. Try not to eat late at night. 9. Be sure you’re drinking enough water. 10. Don’t buy junk food. It will be easier to avoid it when you’re at home. I am a fan of the book Food Rules by Michael Pollan (2009). He suggests 64 rules that people should follow in order to be healthy. I recommend checking it out! This is a list of personality, career, IQ and EQ (emotional quotient) tests that you might want to take to find out more about your personality, intelligence and personal preferences. I list some of these in my book: How To Reinvent Your Career. Now that there are so many people looking for jobs, it makes sense to find out more about your personality and preferences to see which jobs would be a good match for you. http://resources.monster.com/tools/quizzes/perfectcareer/ – Monster.com’s career test. http://careerplanner.com/CareerTest.cfm – Careerplanner’s career test. http://assessment.usatests.com/Jobtest/?v – Job/Career Test – This site has a lot of different personality tests. They have a fee associated with them. http://resources.monster.com/tools/ – More tests offered by Monster. http://www.mhs.com/product.aspx?gr=cli&prod=eqi&id=overview – Emotional Intelligence Test. I used this test for my dissertation. http://www.discoveryourpersonality.com/Strong.html – Strong personality test. http://www.mbtireferralnetwork.org/ – Place to find a qualified Myers-Briggs instructor to take the actual Myers-Briggs test. My website www.drdianehamilton.com is dedicated to helping people improve their lifetime potential. What does that entail? I am always studying self-help articles to improve “me”. I find that a lot of others do the same. I use my website and blog as a way to share those things that I have learned through my research. It can take a lot of time to find how to do certain things or how to improve your life in certain ways. I hope that with my research, I make your research a bit easier. I like to study careers and different jobs that become available due to new technologies and advancements. My degrees are in Business Management with a strong focus on Human Resources and Personnel Management. In my book How to Reinvent Your Career I include a lot of information about how to improve yourself in order to get that career that is a good fit for you. The anticipated publication of this book is early Fall, 2010. There are always personal areas we can develop. I love books like The Art of Happiness by the Dalai Lama. Tony Robbins also inspires me quite a bit. It can be easy to get bogged down in negative thinking. We all have that inner voice that we barely notice in our minds. I think it is important to pay attention to it, to be sure we are not focusing on negative thoughts. Having worked in the pharmaceutical field for 15 years, I received a lot of health-related training. I have a CMR certification which was a pretty intense graduate-level program where I learned about medicine, disease management, and how the different systems in the body function. One thing that I had to learn in my own personal life was the importance of being healthy as compared to just being thin. I currently teach for 6 online universities and personally have a PhD in Business. I am a big advocate for a continued life-long education. I never stop taking courses. I love to learn new things. The great thing about the Internet is that there is a wealth of information out there that is FREE! iTunes U: http://www.apple.com/education/itunes-u/ – iTunes have their university courses as well as regular podcasts available. Be sure to check out all of the free things iTunes has to offer. My latest passion has been to learn more about social networking. It can be so complicated because there are so many different sites out there. I do like to use sites like Posterous which allow you to update many different sites easily with just one email. I am always looking for great suggested sites and things to read. www.letsgetsocial.com – did try this one and liked it! http://drdianehamilton.wordpress.com/2010/07/22/what-is-flipboard-for-ipad/ – signed up for this but haven’t yet been able to use it . . . I hope some of my links are helpful to those of you who have similar interests to mine. I welcome hearing back from those of you who have found sites that you like as well. I am constantly updating my lists so check back on occasion to see some new site that I think are useful.